"The Wonderful Wizard of Oz"
"The Marvelous Land of Oz"
"Dorothy and the Wizard of Oz"
"The Emerald City of Oz"
Dorothy is an individual stepping into power and self-possession of parts of herself. She is aligning the parts of her soul and running the energy of the pentacles. Dorothy must align herself and balance the demands on her from lively animus, the dog Toto, the love of the good witch Glinda and the power of the wicked witch who keeps putting up challenges for Dorothy to overcome. As Dorothy learns of the power she possesses as she travels, guided by the lively animus of spirit. Along the way she meets flawed, but powerful adversaries. She travels the yellow brick road, learning lessons. Along the way she meets avatars of Wisdom, Love and Will with whom she makes a powerful, magical whole. Dorothy is also an individual within a community, a family of choice seeking wholeness with the support of each other. Each community member is a powerful ally without whom the whole could not face the collective challenges that block their way forward. Each companion is seeking something they already possess within themselves, but are so stuck in deflated notions of themselves they cannot reclaim their whole selves. And each challenge is a chance for personal and collective growth. Each companion seeks one exclusive gift above all others, they already possessed, but they, in fact, needed all their gifts collectively to succeed. They also didn't begrudge others for seeking the differences they sought, though they were locked into a blind monomania about their own grail. It is through differences they were able to succeed and through which they were able to see what they could not see on their own. Traveling to Oz is a chance to experience more than what the common state of the human condition. On one level, Oz is a magical place that isn't normal earth, either the faery realms or a land of dreams. On another, Oz could be the afterlife. Another, Oz could be seen as the promise of an "awakened" life in contrast to the sleepy, somnambulant humans stuck in Kansas. Or, Oz is an allegorical tale of initiation and growth, where an individual comes into her power, and meets other powerful allies, who all form either aspects of a reconnected whole self or a vibrant family of choice. Dorothy journeys from the east to the west, from the place of dawn to the place of dusk. Dorothy is going from her normal consciousness down into the unconscious. Therefore this is a kind of chthonic quest, a katabasis and return, going deeper into the unconscious, farther and farther from the waking world. Along the way she meets companions and confronts challenges presented by the Wicked wWtch of the West, the farthest point in her descent, before returning. Dorothy travels from youth to middle age, but returns to the bright summer of her days in the South before returning home. The young woman grows up along the way, but not too much. This is the story that starts it all. The Reclaiming tradition of modern pagan witchcraft borrows from the Feri tradition several archetypal models of personal mastery and magic. These models are the Pentacles of Iron and Pearl. In addition to these, there is a traditional pentacle of elements in the western tradition of magic. I sketched out for myself a relationship between the main companions in Oz and the points of the pentacles of iron and pearl. I think it's interesting. One might take all the characters in Oz as facets of Dorothy's own personality, as in dream interpretation, or as distinct avataria of principles in a mythic space. One might interpret each as some aspect of ourselves, on our soul journey, either in our real world life journey or in our soul's journey in another realm, symbolic or after-life. In some books on the subject, Dorothy is suggested to be the material body, and toto is her animus, her lively spirit. The three other companions, the Scarecrow, Tin Woodman (Niccolo Chopper) and the Cowardly Lion are suggested as Dorothy's, or as representative of, Wisdom, Love and Will. So, Dorothy is coming into her power, not aware of the power she has in herself, perhaps represented by the silver shoes (note: not ruby slippers, which is from the movie and not public domain!). She travels the path, learning lessons, and being in part driven forward by Toto, who kept her happy and lively in KS. Along the way she meets avataria of Wisdom, Love and Will. Once upon a time, in the land of Oz, four individuals set out on a strange and dangerous journey. each of them was lacking something vital to his or her nature, and each wanted to find the great Oz and ask him for his help. Lion was lacking courage. Although a powerful, magnificent beast, he had grown cowardly and lost his self-respect, and wanted the Wizard to give him back his nerve. "As long as I know myself to be a coward I shal be unhappy," he said. Dorothy was afraid she had lost her way home. "Toto," she said to her little dog, "I don't think we're in Kansas any more." Though never really lost at all, Dorothy felt stranded and alone, and she wanted Oz to return her to the security of her Aunt and Uncle's farm. "There's no place like home," she said. Tin Woodman believed he had no heart. As tender and sensitive as he was, he felt stiffened with rust and unable to love, and he wanted Oz to help him feel a warm, loving heart beating in his chest. "No one can love who has no heart," he said. Scarecrow thought he had no brain. Although the most ingenious of the four, he considered himself witless and worthless, and he wanted Oz to make him smart. "Brains are the only things worth having in this world," he said. Arm-in-arm, these four very different characters set off to the Emerald City to seek the Wizard's help. Courage, Home, Heart, Brain - Baum in his Wizard of Oz characters managed to catch the essence of four personalities, four distinct patterns of attitude and action that have been observed again and again in human beings for over two thousand years. And, I might add, though they each sought one exclusive gift above all others, they already possessed, but that they, in fact, needed all their gifts collectively to succeed. They also didn't begrudge others for seeking the differences they sought, though they were locked into a blind monomania about their own grail. It is through differences they were able to succeed and through which they were able to see what they could not see on their own. I encourage reading ch 2 of Keirsey in conjunction with ch 10 of Starhawk's Truth or Dare. Keep the notions of Iron, Rusted, Gilded and Pearl present as well. An ancient Greek philosopher named Empedocles is the source that has survived from which we've learned of the four elements in Greek thought. Empedocles spoke of the elements of air, fire, water and earth. He also had a theory of change. Empedocles taught that change occured through the interaction of forces of love and strife on the four elements. 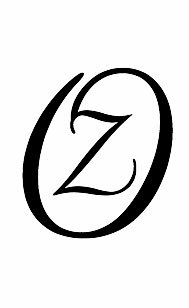 Within the story of Oz, there are the elements represented in many ways, not the least of which is the correspondances to the directions. Within the story of Oz, in this first book especially, there are the forces of the good witches and the forces of the bad witches. This division of good and bad witches could be taken to compare to the forces of love and strife in Empedocles which through interaction create change. Glinda in the south and the Wicked Witch of the west seem to be very close to the ideas of love and strife as they act on the elements of the story, character and scene. Certainly I see in these two an echo of the Alchemical motto "solve et coagula". Moreover, this notion of love and strife, attraction and separation, when taken to extreme could also represent the gilded and rusted aspects of the pentacles. One of the issues that was talked about in relation to the the theme decision was that the choice should reflect on Goddess. I've been thinking about this, and have sketched out some thoughts. It is not Good Witch of the North nor Glinda the Good that helps Dorothy come into her power. The Good Witch of the North offers a kiss of protection, but is like the parent teaching the child to ride a bike who at some point has to let go. It is the wicked witch that is the foil against which Dorothy comes into power, and without this relationship Dorothy would not have awakened to herself. This reminds me of the relationships between Baba Yaga and young women, such as Vasilissa, at once both a dangerous but also important relationship. This is a powerful connection between young and old, maiden and hag. Glinda is the Good Witch of the South, but she is not the same witch that meets Dorothy in the land of the Munchkins. In fact, I don't think the name of the Good Witch of the North is revealed in the Baum books, neither are the names of the witches of the East or West revealed by Baum. So, It is the kiss of the Good Witch of the North, the place of the element of Earth, that is a protective mark on Dorothy's forehead. The Good Witch of the North is not able to join Dorothy, but she it able to provide protection along the way. Could it be that the Good Witch of the North is Dorothy's own divine self, her divine soul? Both Good Witches are donors, in the folkloric role of Propp (1979), sources of aid, to Dorothy, but ultimately the Good Witches are outside the primary story, they are almost incidental. It is in meeting the challenge of the two Wicked Witches that Dorothy makes progress toward realizing her own power, and creating her own magic by liberating Oz from its shadows. Dorothy meets the first Wicked Witch when she arrives in Oz, and this marks her passage from the belly of the leviathan, the Kansas house & tornado, to the point of no return. It is the death of the first Wicked Witch that marks the actual beginning of Dorothy's journey in Oz. It is the death of the second Wicked Witch in Dorothy's story that marks the beginning of her return from the hero's journey, the point of her initiation after she is transformed and must return to a normal state. As this journey of initiation is a rite of passage, it can be symbolic of any right of passage. In Baum's second book, the Good Witch of the South is called Queen Glinda the Good. So, there is some distancing from Glinda as a witch in the later stories. One of the few truly interesting insights of Darren Main's analysis of Oz is to pick up on a specific bit of dialog that is in the book, but not the movie. When Dorothy and the Munchkins first meet, a Munchkin points out that Dorothy's dress, a white and blue check pattern, contains the colours of the witch and the colour of the munchkins respectively. This suggests that Dorothy has within her both qualities of the divine and of the mortal human. Like each of us, we journey to realize the divine in ourselves, and others, while embodied within the human and the experience of the human condition. I've also been finding myself reminded very strongly by the relationship between Ozma and Oz of the gnostics and the hidden feminine principle and the demiurge. Although not introduced until the second book, Ozma, a true faerie (feri?!) and rightful ruler of Oz, was usurped and transformed into a little boy. Oz, a humbug carny from the muggle mid-west, is a tyrannical ruler and rules by fear and manipulation, and has little real power beyond his tyranny and obfuscation. Perhaps this will be far too brief, but the Gnostics believed Sophia is the true goddess, hidden and usurped by a jealous and nasty male divinity, the Demiurge she created. Excellent books on Gnosticism are any of the Pagels texts. There's a bazillion others, like the Margaret Starbird and Carol P Christ books, so that's only the merest tip of the iceberg. Erica also loves The Moon Under Her Feet, Kinstler. Characters in Oz seem to present images of male deity. In the first book, the primary male character is the Wizard himself. I notices in illustrations that the Wizard has some plumage to his thining hair. Also, the emerald green is like the peacock feather, and the peacock feather is a motif in Oz illustrations. The Wizard fell from the sky, became an evil ruler cast out by Dorothy, but was redeemed when he returned. The Wizard's evil is primarily one of deception, because he claims powers he does not have and hides behind masks. At the end of the first book, the Wizard leaves Oz in a newly constructed hot air balloon, attempting to return Dorothy to Kansas. Unfortunately, not only is the Wizard not able to control the balloon, but Toto's escape forces Dorothy to stay behind in Oz to complete her journey there. Although not part of the first book, the Wizard eventually returns to Oz and apprentices himself to Glinda the Good to learn real magic, and is no longer a mere humbug. The Wizard comes to live in Oz permanently as a being of real power. It is the journey of the Wizard to be removed from his place as the ruler of Oz, but to eventually return and become an actual wizard, with real powers of magic. This seems to me an echo of the journey Melek Taus takes as the fallen but redeemed angel. I mentioned previously the connection I thought apparent between the Ozma-Oz and the Sophia-Demiurge relationships. Prior to the first book, the Wizard of Oz, Oscar Diggs, arrives in Oz through an accident involving a hot air balloon. When he lands in Oz, he is taken as a great wizard by the people. To amuse himself, he commands the people to build the Emerald City, where he subsequently rules through obfuscation and misdirection. The Wizard has installed himself as the ruler of the Emerald City and keeps his power through a web of manipulation and deceit that keeps the illusion of his magic alive and the population under control. You may or may not know, that Seattle decided back in the 90's to call itself "The Emerald City" ... so, there's an interesting connection to the theme of BC '07. Of course, that leads into talking about the yellow road of the sun through the day, which suggests that daylight, or being awake, is the land of Oz and night is Kansas, or sleep, and that means, perhaps, that the Emerald City is the mansion of the soul, or the boundary of human experience in the Universe. Darren Main interprets, interestingly, the Land of Oz to be the human life experience and Kansas as being the place where more than human, between life stuff happens. More common interpretations are that Oz is either the magical place that is not normal human experience, or that Oz is an allegorical tale offering a look at real human experience. Frankly, I have a hard time thinking of Kansas as the afterlife or, as Main suggests it to be Heaven. Let's be real: Kansas sucked. Although the first story is all about D trying to bet back home, in subsequent stories she eventually decides to move in to Oz, in fact. So, I prefer to think of Oz as being more than what is experienced in the common state of the human condition. On one level, Oz is a magical place that isn't normal earth, either the faery realms or a land of dreams. On another, Oz could be the afterlife. Another, Oz could be seen as the promise of an "awakened" life in contrast to the sleepy, somnambulant humans stuck in Kansas. Or, Oz is an allegorical tale of initiation and growth, where a young woman comes into her power, and meets other powerful allies, who all form either aspects of a reconnected whole self and/or a vibrant family of choice. The silver shoes come from the dead feet of the wicked witch of the East, whom we never meet alive. The east is the direction of the sunrise, the direction of enlightenment. Coming from the east, place of birth, to the west, place of adulthood is also an important part of this journey, though it is ultimately in traveling to the south, place of vibrant adolescence, where Dorothy finds her way home. This story then is also one of coming out of childhood into maturity. In comparison, the journey of Tip in the second book is from the North, place of Earth and winter, through the Center with an aerial side trip to the distant spring East to the Fiery and summer South, and back to the Center where Tip assumes the throne of Oz as the Princess Ozma. The journey of the second book is, in fact, the story of the Goddess returning from the Underworld in winter, to return in the Spring, bringing new life, and arriving in her full power at summer. "If you had known their power you could have gone back to your Aunt Em the very first day you came to this country." Dorothy could have returned at any time, because she had the power. But, she did not realize nor believe in her own power. But, had Dorothy already realized her power, there would have been no need for the journey. But, the companions she meets would all still be stuck, and none would have become rulers of dominions nor have realized their deep desires. Of course, Dorothy was not able to go home because she had not come into her power, and that is what she gained on the journey. The directions are in balance, the points of the iron pentacle are balanced. The triple soul of Dorothy is aligned. And, Dorothy has maintained her innocence while at the same time she has come into her power. "Dorothy stood up and found she was in her stocking feet. For the Silver Shoes had fallen off in her flight through the air, and were lost forever in the desert." "I have just come to a realization! This scroll by Broken Sword contains no secrets of his swordsmanship. What this reveals is his highest ideal. In the first state, man and sword become one and each other. Here, even a blade of grass can be used as a lethal weapon. In the next stage, the sword resides not in the hand but in the heart. Even without a weapon, the warrior can slay his enemy from a hundred paces. But the ultimate ideal is when the sword disappears altogether. The warrior embraces all around him. The desire to kill no longer exists. Only peace remains." Dorothy has come to possess the silver shoes, as unrealized symbols of her own power. Then, Dorothy realizes her power, and comes to believe the power of the silver shoes which take her home. Arriving home, she no longer even needs the silver shoes at all. So the silver shoes are lost, but Dorothy has come to embrace her power to return to a changed world. Just as he [the Tin Woodman] spoke there came from the forest a terrible roar, and the next moment a great Lion bounded into the road. With one blow of his paw he sent the Scarecrow spining [sic] over and over to the edge of the road, and then he struck at the Tin Woodman with his sharp claws. But, to the Lion's surprise, he could make no impression on the tin, although the Woodman fell over in the road and lay still. "Don't you dare to bite Toto! You ought to be ashamed of yourself, a big beast like you, to bite a poor little dog!" And, Dorothy has maintained her innocence while at the same time she has come into her power. Dorothy may not have started with knowledge of her own power, but she is well served by it along the journey. It is her innocence that stands up in the face of power to speak truth. This may speak to the journey of alignment and realization that Dorothy is on toward balancing the points of the pentacles and aligning herself, coming to consciousness of the black heart of innocence. The witch camp chant "Let It Begin Now" makes an excellent Oz chant: Let it begin with each step we take along the yellow brick road toward ourselves. Let it begin with each challenge we face, companion we meet. Let it begin with each tyranny we end, with each country of ourselves we free. Let it begin each time we awake to ourselves and our community of power, every step we take toward enlightenment and alignment in the dawn of ourselves and our community.